chirp, chirp, peep, peep. – this luminous life. 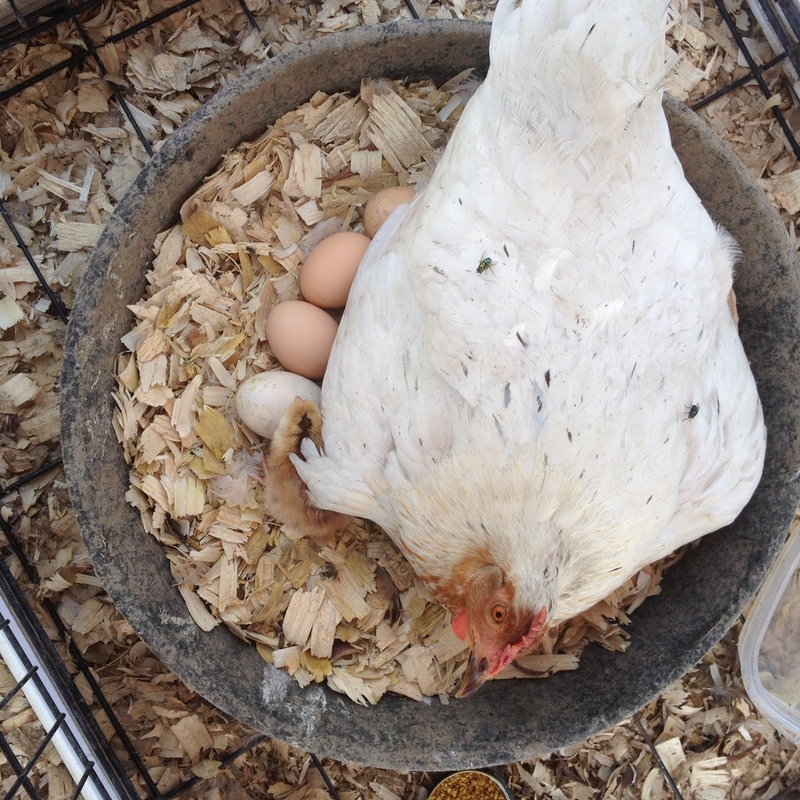 August 6, 2014 ~ Laura N.
Jordan’s white hen has been sitting on a batch of eggs for a few weeks now with no luck. We’ve found a couple dead chicks (which have been stolen away by the ducks) and ‘bad’ eggs but no babies. We nearly gave up on her last week, thinking that she would give up on the eggs soon too. One morning, a fluffy head emerged from under the mother’s white wings! A baby!! Success!! Then another day, another baby! Yay! The one year-old hen is a first time mama hen, and we are so proud of her! I’ve spent quite a bit of time crouched in the shavings beside the nest, watching the mother spread out her body to keep all the eggs warm and tuck her head underneath her body to push some eggs around or scold chicks. 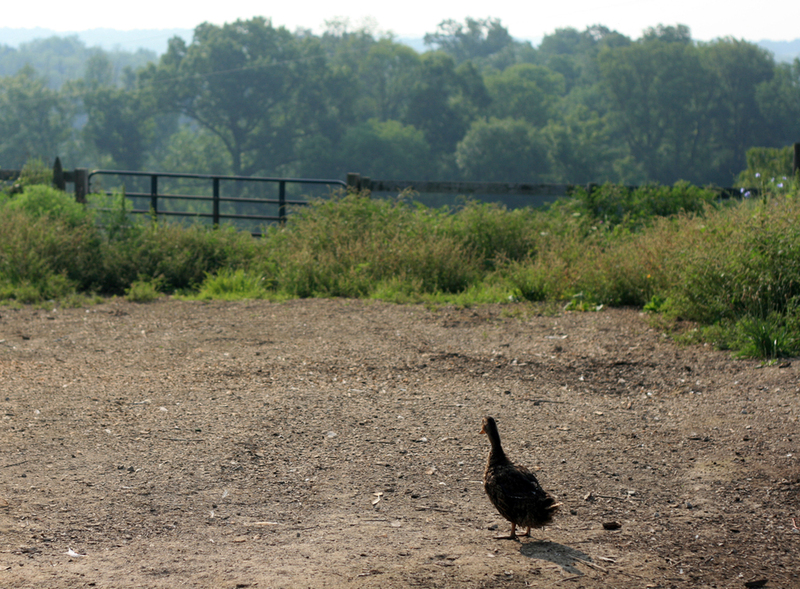 She sits patiently, clucking quietly at chicks that have wandered a couple inches away, calling them back to her. The fluffy chicks trip and tumble about the nest, falling backwards when attempting to tilt their heads up to drink water, and accidentally pecking mama in the eyes. The little blonde chick with the brown stripe on its head is a joy to watch. He studies his mother and immediately imitates her actions. I love it. The chicks are not without some sadness, though. More hatched chicks were found dead in the past couple days. There are still a few eggs left, so there’s hope for more healthy chicks. For now, we’re just enjoying watching the mother (and rooster) interact with the two fluffy babies. 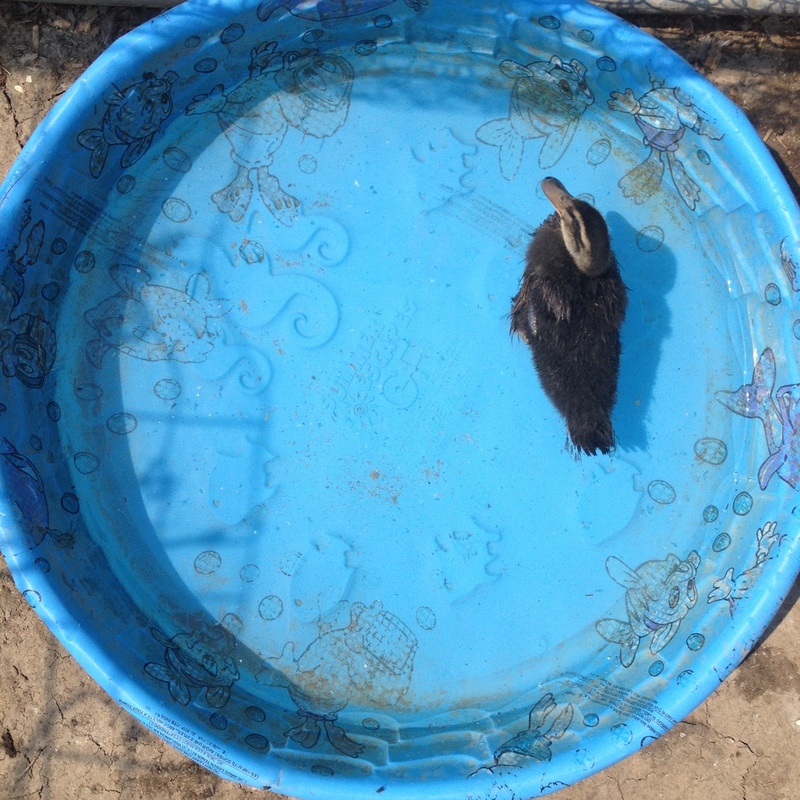 My adopted duckling Judy is also growing larger each day. Her pin feathers are starting to come in and she recently enjoyed her first ‘big girl’ bath! Soon, she’ll be out with the other ducks. They grow up so fast…. I found a job! Woo-hoo! As we transitioned from our lives in Illinois to our new life in Kentucky, I was going back and forth on whether or not I still wanted to teach. The desire to teach was still there, but it was marred by disappointment of not finding a teaching job in the last three years since I left grad school. I want to be a homeschooling/unschooling stay-at-home-and-volunteer-everywhere kind of mama in the near future, so I decided to pursue teaching assistant jobs in Kentucky. I got phone calls from a couple places — for teaching interviews! A few days ago, I accepted a position as a teaching specialist in a Christian early childhood education center. The job couldn’t be more perfect: be a teacher without the late-night/weekend workload, work with a very small population, use my experience from working with low-functioning students with special needs, be close to home, incorporate some sign language, and work within a private school/Christian environment, which my heart has been yearning for….. in addition to a few other perks. God sure has strange and wonderful ways of providing and fulfilling my dreams. I am full of joy and cannot wait to start working there! The beginning of the end of summer. I cannot believe it’s August already. The heat is peaking, but cooler nights are just around the corner. This is the beginning of the end of summer, and I love it. We’ve been here three and a half weeks. Time flies. I am in awe of how crazy/beautiful life can be. One more month and I’m going to start decorating with apples and pumpkins. Hehe. Sounds like the new job is practically perfect, planned just for you by God. Congratulations! It really does feel that way. Thank you!